Florentena W. Groff, 95, a resident of Luther Acres, died Sunday, December 11, 2011 at Abington Hospice at Warminster following a brief illness. She was the wife of the late Robert L. Groff who died in 2006. Born in Enola, she was the daughter of the late Joseph and Arianna Beachler Wilt. Mrs. Groff was an active member of the Grace United Methodist Church in Millersville. She was a graduate of Penn Manor High School. The happiest times in her life were spent with cherished friends and family. Surviving is a son, Lyle R. Groff of Lancaster; a daughter, Roxane L. wife of Mark Gamble of Abington; and three beloved grandsons, Daniel, Jordan and Cory Gamble. 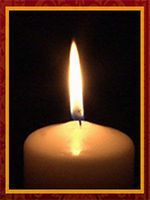 A Funeral Service will be held on Friday, December 16, 2011 at 11:00 A.M. at Grace United Methodist Church, 163 W. Frederick St., Millersville, PA with the Rev. John Laughlin officiating. Friends may call at the church on Friday from 10:00 A.M. until the time of the service. Interment in the adjoining church cemetery. In lieu of flowers, contributions in her memory may be made to The Memorial Fund at Grace United Methodist Church, 163 W. Frederick St., Millersville, PA 17551 or to Abington Hospice at Warminster, 225 Newtown Road, Warminster, PA 18974. Beloved Aunt Teeny, will cherish the great moments we shared together as a family…especially during the holidays.